When Howard Niseman led a group of officers from the Chicago Police Department in search of a missing Angel Dragon, they fall victim to the Rats. One of the officers was killed by the villains before Dragon joins the fray. 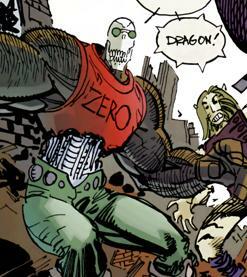 Hiro Zero was one of the Rats that were apprehended by the hero.